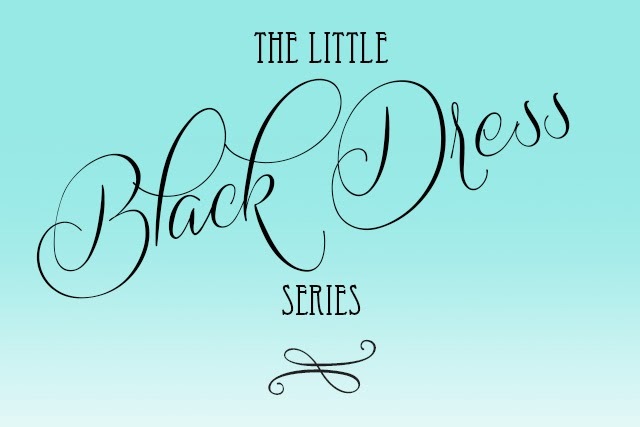 Hello, and welcome to day one of the Little Black Dress series! So tickled that you're here! This month, Prodigal Sister is tackling tricky subjects for the new adult demographic in the Christian Church. Specifically the single ladies. Happy readin' and be sure to follow the Prodigal Sister on Facebook for more updates! February is a month laced with pink ribbons. Helium balloons. Too much Just enough chocolate. And good advice. Every year around this season, when Target makes its entryways look like a wedding reception, it seems like everyone wants to be in on the conversation of "singlehood-shoulds." What singles should live for and look forward too. Everyone wants to participate in the rumblings of the anti-singles-day, because it's so much easier to give advice than to take it, right? The world wants to shell it out like paper Valentines. But, what's even easier than giving advice is absorbing it all. To be muddied by it. Or confused by it. The challenges with politely listening and reading advice like this, especially during February, tethered and sewn into our hearts, minds and actions. month may still be a stumbling block. The internet doesn't make it better. We read things like: 10 Things Every Single Person Should Do While They're Single, 29 Ways to Surviving Valentine's Day When You're Single, and 83 Things You Should Look for in Your Marriage Partner. We don't really have a clue about these things, do we? So we cling to it. The advice. We scrape our fingers into the dirt of it all. Because we're single. And we want answers. There is, of course, wisdom in making informed decisions. In wanting to seek counsel. To ask about experiences and decisions. However, there is also the opportunity for chaos to flourish. Especially when advice seems so contradictory. Or when it comes without you asking for it. This is your hall pass to having a clear understanding what your "singlehood-shoulds" should be. This is your free ride to coasting past the"what-ifs" and the wonderings about the future. Because there is also wisdom in quieting the voices who--however well-intentioned--don't know the full story. Because it will not have any contradictions. Because it will not be on BuzzFeed. It will most likely come from people who know and love you. And (plot twist) it may even sound similar to what Christ said to the Samaritan woman at the well. We've talked about that on this blog before. But the woman in this story was a woman who was searching. You can read the fully story here. The Samaritan woman was with five men. And was sprawling for water. Don't tell me she wasn't searching for something. Christ confronted her at the well. But then he offered her life. And a water that would always quench her thirst. Isn't that what we all want? For our families? For our friends? Single or not? This is a season for searching.This is a season for finding Christ. For meeting him at the well and listening to what he has to say. But the greatest thing, in the fray of the swell of the desert, in the mix of the missed opportunities, the bad, bad advice, the lost jobs, the lost loves, the friends who seem to be carrying on into the next new and exciting season without you...that is where you come face-to-face with your Savior. You have a choice. You can either take all of the advice. Or meet Christ at the well. *the Little Black Dress graphic was created by my lovely friend, Amanda Geisaka. Doesn't she rock? !